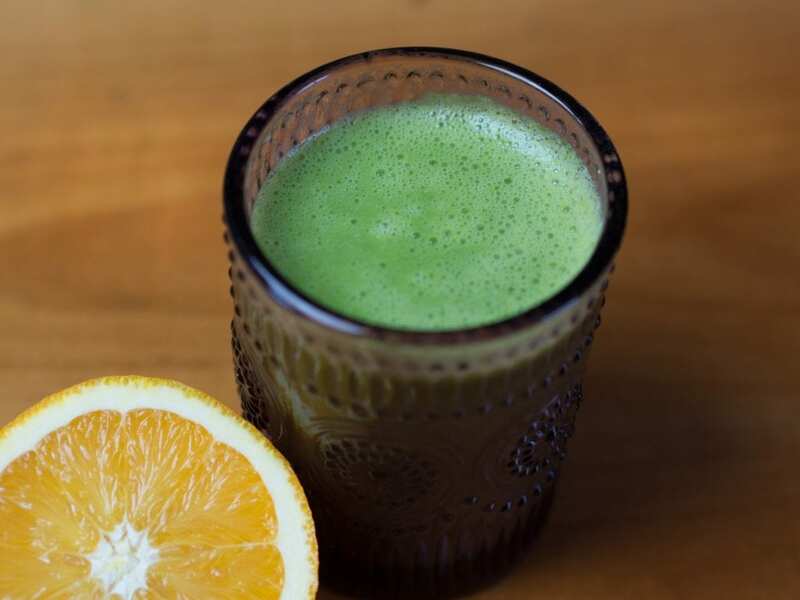 This Spinach Carrot juice is a simple way to get your RDA of veggies. Spinach and carrots combine for a flavorful, nutrient-dense drink. Firstly, this is an alkalizing digestive juice. Spinach is chock full of phytonutrients and contains more than a dozen flavonoids, which are beneficial in combating cancer and inflammation. Also abundant in spinach are antioxidants. Some of the more important antioxidants are: flavonoid, carotenoid, vitamin C, vitamin E, beta-carotene, manganese, zinc, and selenium. In addition, the vitamin K in spinach helps control the activation of osteoclasts, the cells that are responsible for breaking of bones. Spinach contains zeaxanthin and lutein. This helps protect our eyes from degeneration, disease, and cataracts. Finally, there is a decent amount of fiber in spinach, which helps our digestion and with easing constipation.